We at Wareable aren't shy to express our disdain for Microsoft's unwearable wearable, the much-derided Band. However, credit where it's due - Microsoft has been throwing updates at the fitness tracker (and, probably more importantly, the Health ecosystem it sits on) with impressive regulatory. The latest such arrival is GPS-powered golf features - and there's no way a Fitbit or Jawbone band can offer that. Like the dedicated golf smartwatches, or the multi-sport Garmin Vivoactive, the golf features on the Microsoft Band extends to distance to the pin (front, middle and back of the green) and scorecard keeping. The result of a partnership with TaylorMade, the Band's golf mode starts when you sync your course from the Health app to the Band. With regards to scorekeeping, the Band will do this automatically and can even tell the difference between a practice swing and a proper shot (you can manually change the recorded score with simple swipes too). 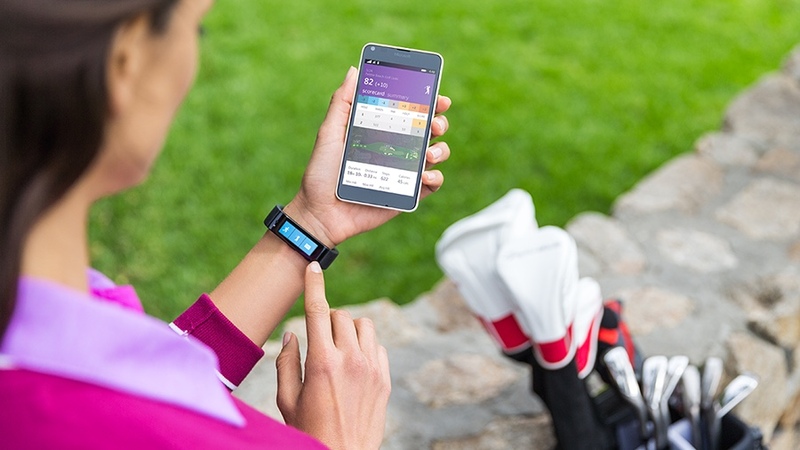 After a round, the Health app will give you a nice scorecard and stats like calories burned and heart rate data. If you sync up with TaylorMade's myRoundpro platform, you'll also get detailed maps of your shots, and an analysis on your performance. It's pretty comprehensive and pretty impressive that Microsoft has yet another decent Band update up its sleeve. If only it could build a device you'd actually want to wear - it could be onto a winner. The update will arrive in the coming weeks.